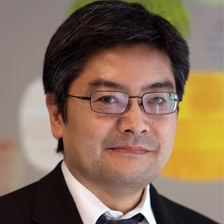 Gene Takagi is the managing attorney of NEO Law Group and contributing editor of the Nonprofit Law Blog. At NEO, Gene has represented over 400 nonprofit organizations on corporate, tax, and charitable trust law matters. Gene has been published by The Chronicle of Philanthropy, The Nonprofit Times, and The Nonprofit Quarterly, and spoken at conferences for Independent Sector, BoardSource, Net Impact, CalNonprofits, the American Bar Association, and numerous local and regional bar and CPA associations. He is a graduate of UCLA School of Law and holds a graduate degree in nonprofit administration from the University of San Francisco, where he also has served as an adjunct professor. Prior to entering into the legal profession in 2001, Gene held senior management positions in both the for-profit and nonprofit sectors for over 10 years. In addition to serving on the board of CompassPoint, Gene currently serves on the public policy committee of Independent Sector.